Much like today’s smartphones, the modern car is advancing rapidly and it seems one particular vehicle has taken a tip from the smartphone space by utilising a mobile hotspot., and that vehicle is the new European Ford Focus 2012. According to an article over on Product-reviews by way of Sell Car UK, say that the Ford Focus with WiFi hotspot will be available across the continent and uses the SYNC with MyFord Touch system that will apparently turn the Ford Focus into a WiFi hotspot. Furthermore, according to the article the system will offer password protected connection with up to 5 WiFi enabled devices including mobile phones, tablets and laptops. Also word is the user wont require an extra contract to use the system, as said system will take advantage of the users current data arrangement. 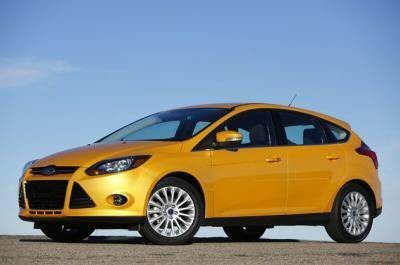 Apparently the SYNC system will also be updated as and when new products become available as to remain future-proof, and once the SYNC feature makes its debut on the Ford Focus 2012 more models could follow. So now you not only have mobile WiFi hotspots on your smartphone but also will soon be able to have them in your vehicle, sound like a good idea?